With the holidays quickly approaching–Thanksgiving is less just 2 WEEKS AWAY (EEEK! 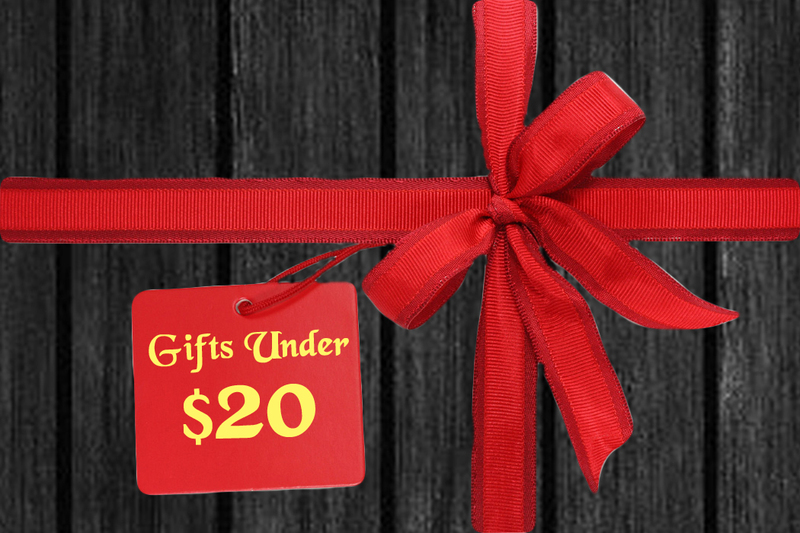 )– I thought we’d start a new series ’round these parts: Gifts Under $20. Tonight in true foodie style, I thought I’d start with some perfect little gifts for those foodies, at-home chefs and home cookin’ experts in your circle of your family and friends. A step smaller than the traditional batter bowl, this 4-Cup wonder is just the right size to mix up many toppings and icings to pour directly onto your cook’s next masterpiece without dirtying up yet another bowl or having to wash the batter bowl. Dishwasher and microwave safe. The perfect little pal that is just the right size to help you get the first brownie out of the pan perfectly to the first slice of meatloaf — a tool that no kitchen should be without! 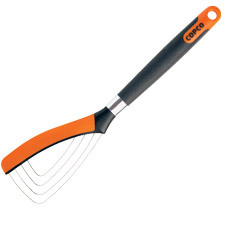 I know Pampered Chef makes one, and I believe that some other companies make similar tools. This little buddy’s swivel head makes peeling everything from taters to apples to carrots super quick. I am sure there are other quality peelers out there, this is just the one I own and love. This lovely assistant makes measuring (and dispensing) both liquids and solids–including sticky peanut butter– a snap! Both Kitchen Art and Pampered Chef make versions of this handy-dandy-doo-dad. First recommended by my pal Jen over at Mess Hall to Bistro, I just heart my French pin. It rolls out dough perfectly every time! I will never own a regular rolling pin again. Many manufacturers make French pins. Mine happens to be made by Paula Deen. We all know how I feel about this dude! I use him all the time. He was the kitchen tool I had been missing all these years! Perfect for cooking up ground beef, mixin’ up meatloaves, smashing up taters and even making freezer jam! I have talked about my love for these types of can openers in the past, I just love that they are super easy to open and leave nothing but a smooth lid once opened. These dudes make opened cans kid friendly which makes for lots of fun prep for soups and such. Several companies make them. I have one made by Farberware and one made by Good Cook–love them both. This baby totally transformed my prep time in the kitchen… perfect for boiling pasta to making bacon bits to making an egg sandwich in no time flat. Every cook needs a Micro-cooker… I just love this thing. It makes multi-tasking a cinch! One of my new favorite tools in the kitchen! 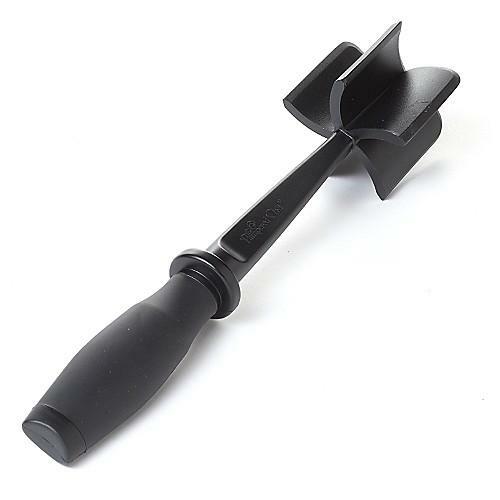 For big scraping needs like batters, I just love the flexibility of the large end and yet the small end offers a sturdiness for those stirring needs that most scrapers flop on. Who said aprons had to be boring…or even floral for that matter? This “Little Black Dress” is the perfect fun way to dress up for a day in the kitchen! 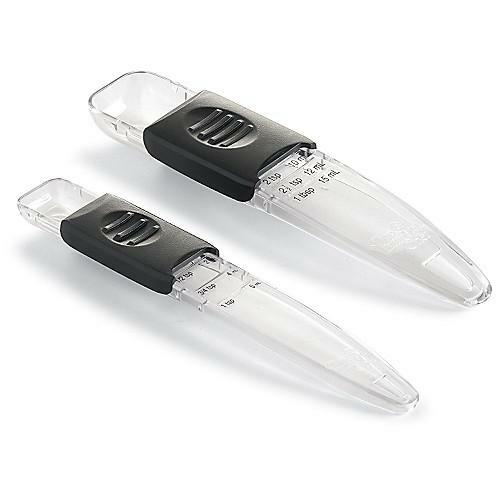 This little set has the perfect combination of sizes for any cook. The largest bowl can handle all your baking needs, while the smallest is perfect for sauces or even as a prep bowl. All come with spill-proof lids and the bowls are freezer, microwave, oven and dishwasher safe. You have heard me rave about my meatloaf pans! I actually got me another one of these for Christmas last year from Aunt Lou and I just LOVE it! It makes a perfect meatloaf every time. Hope this little list gave you some ideas for the Foodies on your holiday shopping list! Twelve girls, lots of freezer cooking, tips and tools sharin’… I am sure we might add a cup of laughter with a few tablespoons of fun. We will be blogging it up next Tuesday with a Freezer Cooking Linky right here… you can find links to all the fun and all the recipes and you can link up too! So get busy and chill baby–even just one meal– and then link up on Tuesday to join in the fun. I will be giving away a Pampered Chef Micro-Cooker that day… so make sure you at least stop by for all the bloggy fun! I believe I paid for the meatloaf pan…thank you very much! 😉 Can't have people thinking I make you pay for your Christmas gifts from me! I have the mini spatula from Pampered Chef and use it constantly. I have an oven liner on my wish list; saw it while browsing at Target last week!